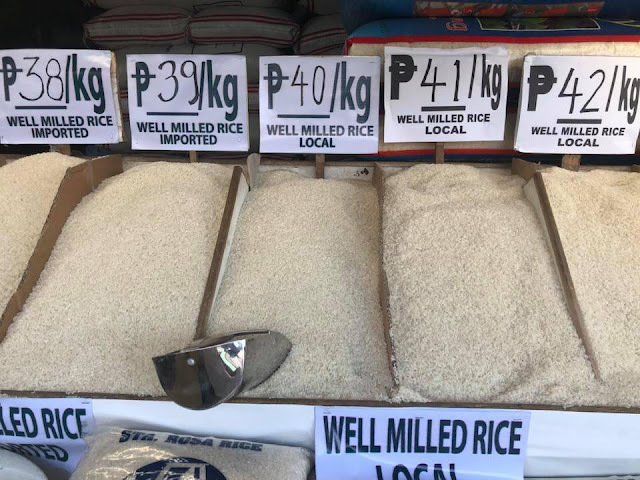 Agriculture Secretary Manny Piñol announced on social media the national coverage of suggested retail price (SRP) for rice as he ordered the implementation in the provinces starting today, November 9, 2018. According to the DA Chief, the National Food Authority, backed by the Department of Trade and Industry and the Philippine National Police, will start imposing sanctions against rice traders and retailers who have not complied with the Suggested Retail Price (SRP) set for both local and imported rice sold in the market. The NFA will also launch in Ormoc City the SRP Program covering all provinces and regional cities all over the country. The SRP for Metro Manila and the Greater Manila Area was implemented on Oct. 27 although the penalties and fines could only be enforced 15 days after the publication of the guidelines as approved by the NFA Council. Starting today, the National Food Authority, backed by the Department of Trade and Industry and the Philippine National Police, will start imposing sanctions against rice traders and retailers who have not complied with the Suggested Retail Price (SRP) set for both local and imported rice sold in the market. Also today, the NFA will launch in Ormoc City the SRP Program covering all provinces and regional cities all over the country. The use of fancy names for rice like "Senandomeng," "Super Angelica," "Double Diamond," and others which mislead the consumers will also be stopped. Sanctions include a written warning on the first offense and for succeeding offenses, the violators could suffer penalties of a jail term of between four months to four years and a penalty of between P2,000 to P1-M. The NFA will also cancel their licenses to engage in rice trading and retailing.